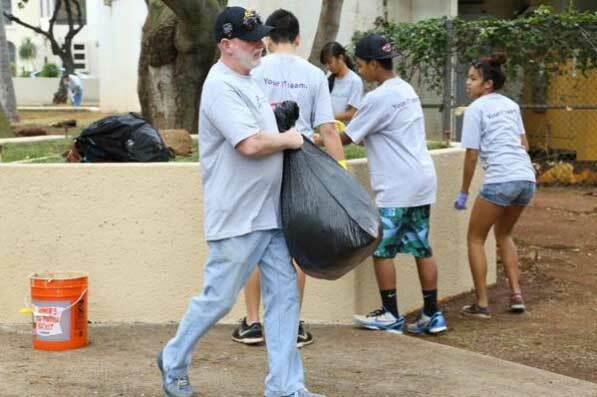 Pacxa teamed up with the students of Our Lady of Perpetual Help School and the City & County of Honolulu for the first quarterly cleanup at Kamaliʻi Park. More than 60 employees and student volunteers from the school participated. The Honolulu Food Forest working group hosted an information table at the event. Leaders of the two efforts are enthusiastic about their shared interest in the park and look forward to continued collaboration. 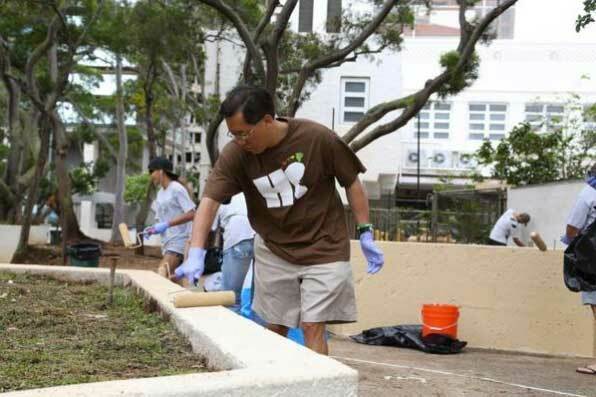 Keith Amemiya of Island Holdings helps to clean up Kamaliʻi Park. Photos are courtesy of Pacxa and originally appeared on the Pacific Business News website. This entry was posted in Adopt-a-Park, Events. Bookmark the permalink. Post a comment or leave a trackback: Trackback URL.